The Professor Layton series started on the Nintendo DS in 2007. The games are developed by Level-5 with Nintendo publishing them in North America. 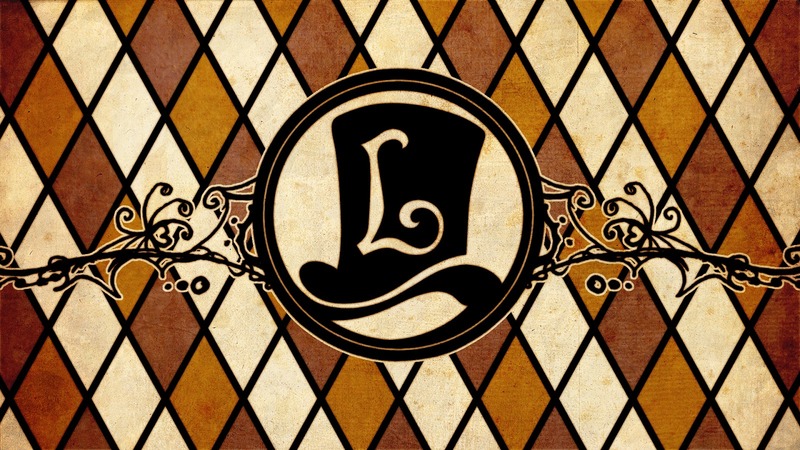 A puzzle adventure franchise, Professor Layton definitely tests the mental mettle of its players while engaging them in thought-provoking stories full of charming and endearing characters. The very first Layton game is also the very first game on my list. Professor Layton and the Curious Village is by no means a weak game, so perish the thought of the title being my least favorite meaning that is not enjoyable. The "Curious Village" aspect of the game regards St. Mystere, a "mystere-ious" town where all of the denizens have an intriguingly strong fascination for puzzles. The true revelations of the town, the treasure of the Golden Apple, and much more are positively fun. In addition to the plot, the game's puzzles like figuring out which hat height and brim width out of four examples are the same, or which house the puzzle teller's vague clues point to are a joy to muddle through and solve. 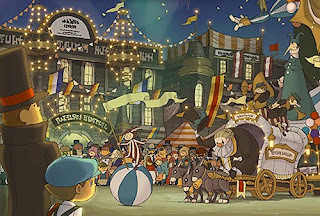 The Curious Village is only my least favorite as it has the least amount of enjoyable bonus content of any Layton game. That's still 10-20 hours of story and puzzles, however. The second game in the Professor Layton series, Professor Layton and the Diabolical Box takes players on a cross-country train ride and into two uniquely different cities. The title's "Diabolical Box" refers to the Elysian Box, said to kill anyone who opens it. What is the true secret of the box? There has to be a rational explanation as there is for every Layton game mystery. The Diabolical Box introduced three new mini-games in addition to following along with the story and solving the many puzzles the game throws at you. There's giving a hefty hamster a workout, fixing a camera, and brewing several varieties of tea to a... well, T. Level-5 had said in the past that they listened to feedback from fans and critics on how puzzles relate to the story. In Diabolical Box, they were more pertinent to the plot and had some more value. The final of the four Nintendo DS Layton games, and the first of the prequel Layton trilogy, Professor Layton and the Last Specter brought with it loads of new puzzles and a sensationally done story. The mini-games, like Luke's toy train and pet fish activities, added to the entertainment factor of the game, and added some replay value aside from the puzzles on the game card and via download. The North American and Japanese versions of the game (sorry, European pals...) possessed an entirely different activity for players, separate from the Last Specter part of the game. It was called Professor Layton's London Life, a life-simulation essentially, somewhat similar to that found in Animal Crossing. The fun came from dressing up your avatar character, performing tasks for NPCs (the exact same ones found in past and present Layton games), gaining money to purchase new clothes and furniture for your home, and gaining wealth and happiness. If you're European, you might not rate Last Specter so highly, as the omission of London Life takes away a myriad of gameplay hours. For everyone else, Last Specter is without a doubt the game with the greatest longevity in the Layton franchise. 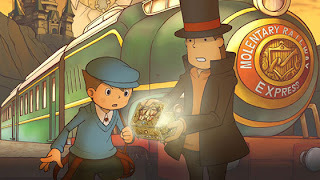 The first 3DS Layton and the latest game in the franchise, Professor Layton and the Miracle Mask was a splendid first offering for Nintendo 3DS owners. Rather than have the characters in 2D, everyone was in a full 3D polygonal being. Another addition to the series was the exclusion of being forced to tap obsessive compulsively at every pixel of every new screen for puzzles and hint coins. Instead, you could drag a magnifying glass around the screen, and when it turned orange, that's when you could tap the screen to uncover something notable. The puzzles made full use of the 3DS system's features, from the stereoscopic 3D to the Circle Pad, to the gyro functions. Outside of the approximately 150 puzzles already on the game card, Nintendo and Level-5 promise one downloadable puzzle for an entire year. That would get any puzzle-solving aficionado breathing heavily at the thought of all those puzzles! 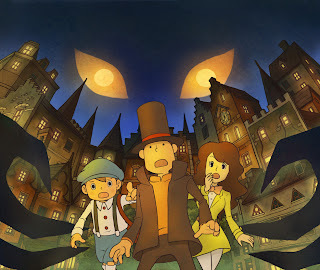 Throw in some enjoyable mini-games like teaching an old rabbit new tricks, getting a toy robot through a maze unscathed, and ordering objects on store shelves, and you have one of the most packed Layton games yet. 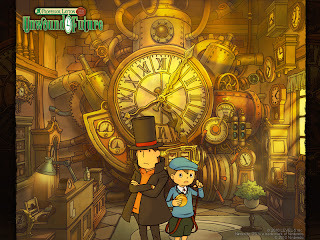 The third Layton game that released and the most recent game in the Layton chronology, Professor Layton and the Unwound Future (aka The Last Time Travel) takes Layton and Luke to seemingly London in the future. Impossible, you say? Perhaps, but the mystery of time travel is fully explored and an entertaining ride from title sequence to ending credits. The ending is one of the most touching I as a 20+ year gamer have ever experienced, and it nearly moved me to tears. Alongside the 150+ puzzles already in the game there are plenty of downloadable puzzles to discover the tricky answers to, as well as three new mini-games to add to the longevity of this Layton. One had you playing with Luke's toy car, another had you situating a specific amount of ropes to help a parrot reach the goal, and finally a picture book relied heavily on context clues to figure out the proper solution. From its endearing and unforgettable story (again, the conclusion is just impeccably done) to its numerable amounts of puzzles to solve, Professor Layton and the Unwound Future is my choice for best Layton game. I have solved the puzzle as to which Professor Layton games are my favorite. Now it's your turn. 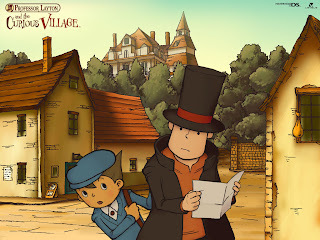 What Layton titles are your most loved? And if you haven't touched the series of yet, what is stopping you? Let your opinion be known in the comments section!